Medical Biochemistry at the Univerisity of Leeds offers you a detailed scientific knowledge of medical biochemistry through modules in protein folding disease, oncology and immunology, you’ll develop a strong understanding of the implications of biochemistry within medicine alongside research and experimental skills. On this undergraduate degree, you’ll learn from leading scientists through a combination of practicals, tutorials and lectures, giving you comprehensive training for medicine or medically related career. Our integrated Masters offers you an additional year of specialist training. You’ll develop tailored biochemistry skills, undertake an extended research project and study advanced biochemistry topics. Medical biochemistry looks at the structure and function of living things in relation to their application to medicine, covering biochemistry topics but with a focus on areas relating to human health and diseases. This course will give you a breadth of knowledge, from basic principles to the latest cutting edge developments in biochemistry, and develop analytical skills to understand biochemical data. A wide range of research-led optional modules includes Chemotherapy, Introduction to Toxicology, Medical Immunology, Medical Virology. In Year 1 you’ll be provided with a foundation in the key elements of biochemistry that can be applied to the medical specialisation that will come later in your degree. Alongside practicals and lectures, there will be weekly academic small group tutorials that will give you a chance to discuss the key concepts of biochemistry and develop your scientific skills in preparation for the following years. With an in-depth focus on topics that underpin modern biochemistry, such as the molecular pathologies of human health and disease, Year 2 offers a chance to build on the foundations of Year 1 and begin to develop your expertise in the subject. You will further advance your laboratory skills and take greater responsibility for your experimental design. In Year 3 you’ll develop the specialist knowledge that will enable you to understand the current research within biochemistry and how it relates to the development of medical treatment for disease. Alongside studying modules in advanced topics in medical biochemistry such as once genes and tumour suppressors, you’ll also undertake an independent research project that will see you take ownership of your own research, under the supervision of a field leading expert. Years 1 and 2 are the same as for the BSc, and provide foundation knowledge and skills. In Year 3, you’ll undertake a practical project which aims to introduce you to increasingly sophisticated techniques and research facilities in preparation for your research project. You’ll also carry out a literature review of your proposed project area, with the support of your supervisor. Alongside this, you will undertake an advanced skills module and study current topics aligned with your choice of theme that will further develop your skills and give you the edge in the graduate job market. In Year 4, you’ll undertake an extended research project in the research laboratories under the supervision of one of our academics, alongside studying specialist research topics and a skills module which aims to prepare you for life as a professional scientist. You’ll experience a wide range of teaching methods including lectures, tutorials and practicals. Your first and second years will focus on these three teaching methods, building your skills, understanding and knowledge in preparation for your final year research project, which will see you take on independent research and learning with the guidance of leading experts. Including Chemistry and another science subject. Critical Thinking and General Studies excluded. GCSE: Grade 6 (B) or above at GCSE Maths and Grade 4 (C) or above at GCSE English. Applicants with BTEC Diploma or Extended Diploma qualifications are required to have A2 level Chemistry, (although alternative science subjects will be considered). Applicants with BTEC Subsidiary Diploma qualifications must normally have at least 2 A2 levels and at least one of these should be chemistry. The preferred BTEC qualification subject is Applied Science. Offers would be grade A in the A2 level science subject and Distinctions in the BTEC qualification. An offer will be made dependent on the BTEC subject and module choices. D3/D3/D3-D3/D3/M1 including D3 Chemistry plus another science subject. D3/D3/D3 including D3 in Chemistry plus another science subject. 35-34 (with 18-17 at higher level) including 6 in higher level Chemistry and another science at higher level. 35 (with 18 at higher level) including 6 in higher level Chemistry and another science at higher level. H2,H2,H2,H2,H2,H2 - H2,H2,H2,H2,H3,H3 including H2 Chemistry and another science at higher level. H2,H2,H2,H2,H2,H2 including H2 in Chemistry and another science at higher level. Advanced Higher: 5 x Highers AABBB-ABBBB, with AA-AB in 2 Advanced Highers including Chemistry and another science. General Studies and Critical Thinking excluded. Advanced Higher: 5 x Highers AABBB, with AA in 2 Advanced Highers including Chemistry and another science. General Studies and Critical Thinking excluded. We accept the following science subjects: Biology, Human Biology, Chemistry, Maths and Physics. AAA-AAB including Chemistry and another science. General Studies, Critical Thinking and Advanced Skills excluded. AAA including Chemistry and another science subject. Science subjects include: Biology, Human Biology, Chemistry, Maths and Physics. General Studies and Critical Thinking excluded. Similar to Biochemistry graduates, Medical Biochemistry graduates find employment in the pharmaceutical and fine chemicals industries, where the development of new, green biocatalysts and the continuing expansion in nanotechnology, synthetic biology and tissue engineering promises excellent and exciting opportunities for many years to come. Our graduates provide attributes that are sought after in many other professional settings such as cancer research, vaccine and drug development, tackling infectious diseases, biotechnology and crop improvement. 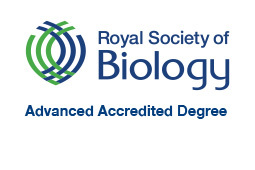 A Leeds Biochemistry degree is respected by employers from many different walks of life, particularly given the analytical, technical and numeric properties of the course. Our courses enable graduates to obtain employment in scientific and non-scientific careers alike. We emphasise the development of transferable graduate skills throughout our courses. We have a dedicated employability team in the Faculty of Biological Sciences who work closely with the University’s Careers Centre. We offer a host of additional opportunities beyond core course content, including volunteering and placements. These include our annual Faculty Graduate Panel, where graduates are invited back to talk about their work and network with our students, and our STEM Careers Fair, which gives you the chance to meet bioscience employers, such as AstraZeneca, Covance, GSK, Nuffield Health, speak to alumni, attend workshops and get masses of information. Industrial placements are typically taken after your third year. This will extend your studies by 12 months. For your work placement in industry, staff at Leeds will help you with your CV and application letters and provide a list of organisations which may offer industrial placements.